Oracle is going head-to-head with HP, IBM and Cisco with the introduction of a converged infrastructure appliance. As with rival systems such as IBM's PureSystems, HP's Converged System and Cisco's Unified Computing System, the Oracle virtual appliance is targeted at deploying private clouds. Oracle’s latest offering follows HP's launch of a suite of networking, high-performance computing, and storage and converged infrastructure areas earlier in June. The Oracle Virtual Compute has a converged infrastructure, which the company says provides an integrated system designed to run virtually any application and support cloud services. Oracle Solaris, Oracle Linux, other Linux distributions and Microsoft Windows applications can all be run on the platform. Wim Coekaerts, senior vice-president, Linux and virtualisation engineering at Oracle, said: "By adding new features through software, Oracle makes it easy for customers to deploy new business services rapidly, providing them with the agility and flexibility they need to grow. We are already seeing a strong response from customers running traditional enterprise applications and from cloud service providers." Oracle said the system differs from its rivals in the integration with the company’s so-called red stack. Oracle claims to be the only converged infrastructure provider to offer a complete, integrated solution with hardware and software engineered together. 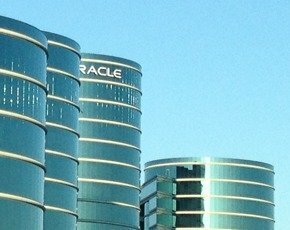 The Virtual Compute appliance also supports Oracle Trusted Partitions, which enables customers to license Oracle software on a vCPU basis, the company said. Disc capacity on the appliance can be expanded with Oracle ZS3 Series storage.